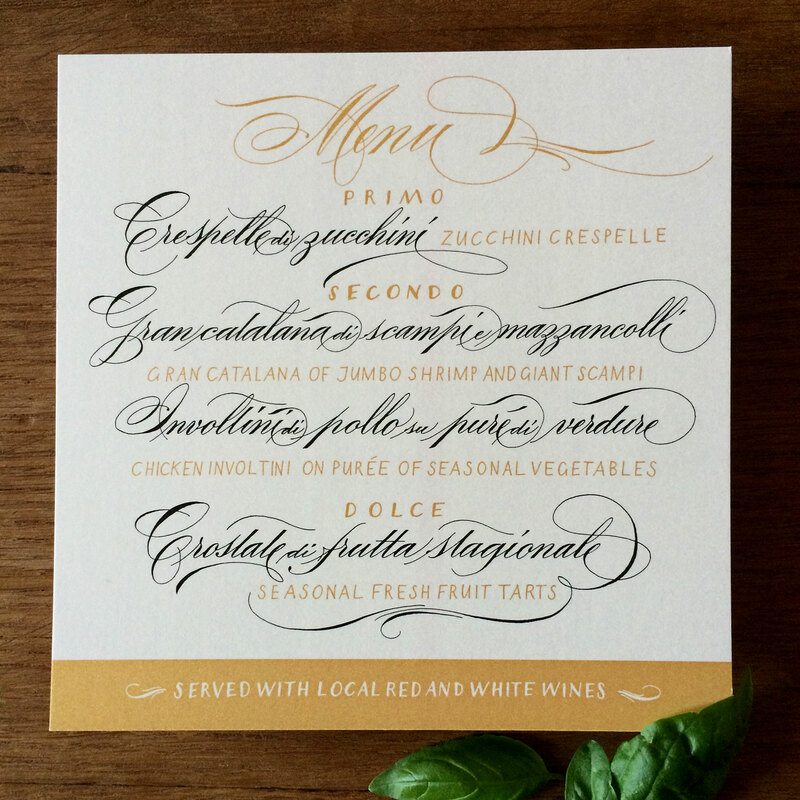 Menu cards with calligraphy are a lasting souvenir for your guests! 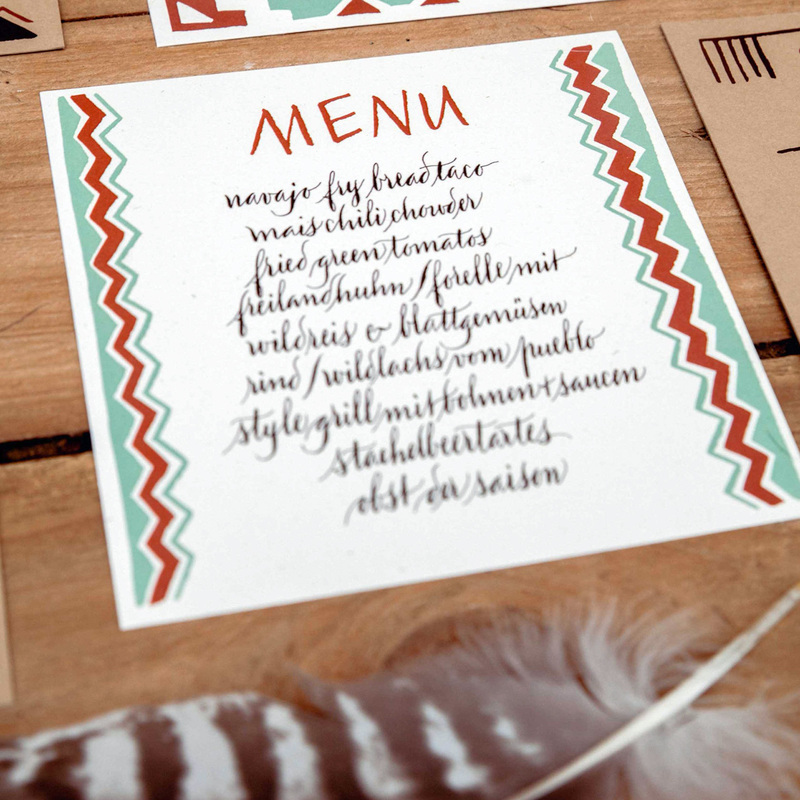 For this menu card I chose my script style Scarlett in a bold, modern and edgy version to complement the Pueblo style of the Dreamcatcher Wedding. 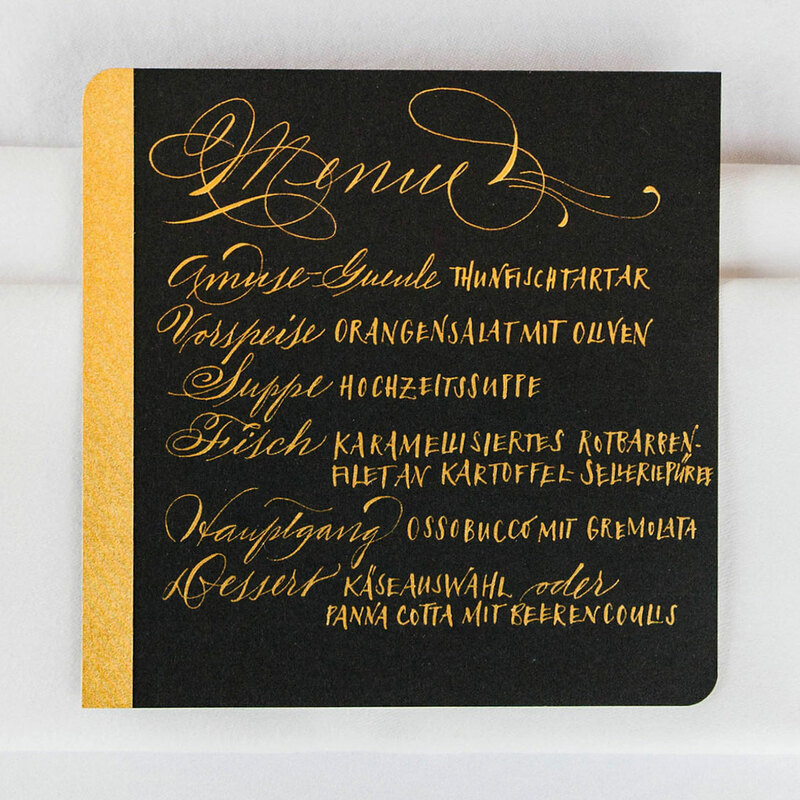 Black and Gold looks always festive and opulent! More pics in my featured project Urban Chic Wedding ! 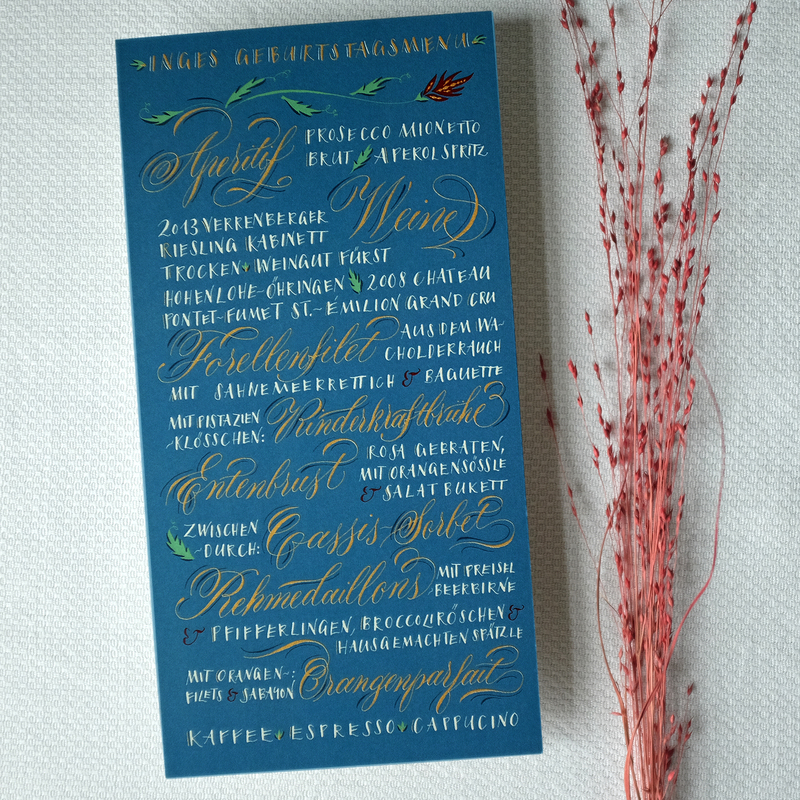 Menu in Blue with golden highlights for a round birthday in October.